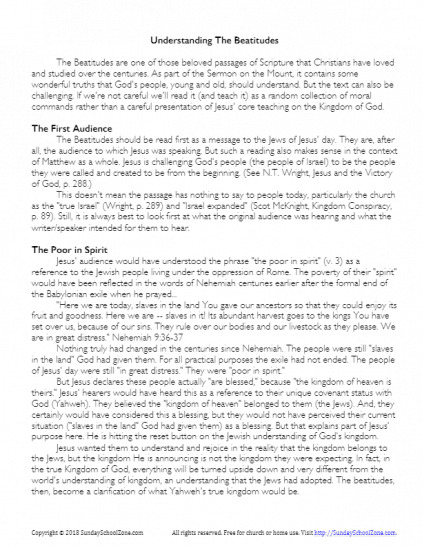 Jesus taught the Beatitudes as part of the Sermon on the Mount. If you're looking at teaching the Beatitudes (whether to children or adults), we can help with a variety of free printables and other helps that are appropriate for varying age groups, including adults. The helps we have are listed below. Each of the beatitudes points to some aspect of the kingdom that God’s people should pursue. 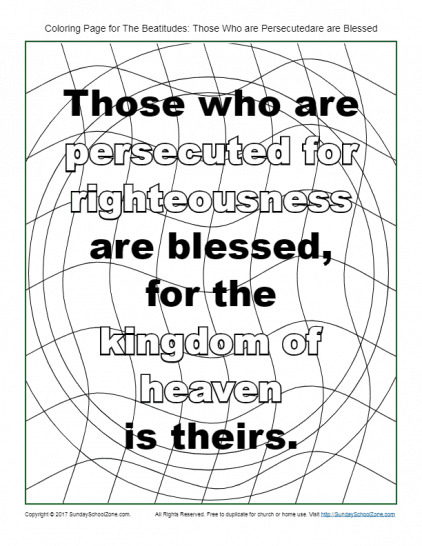 This “Those Who Are Persecuted” Beatitudes Coloring Page will help remind kids that being strong for God will appear weak to the world. 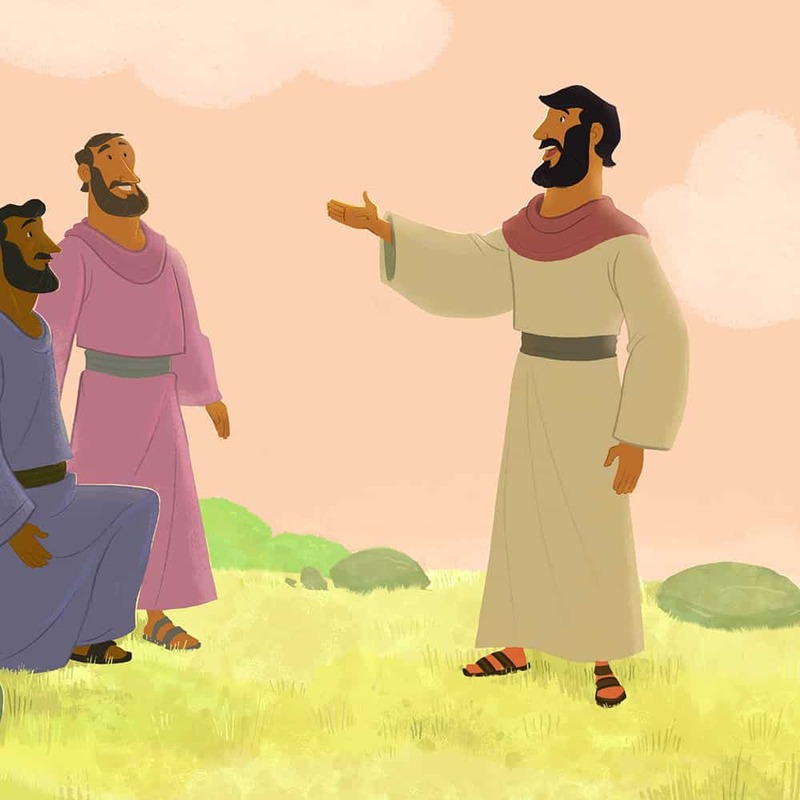 The Beatitudes help us understand God’s kingdom. Each of the beatitudes points to some aspect of the kingdom that we should pursue. 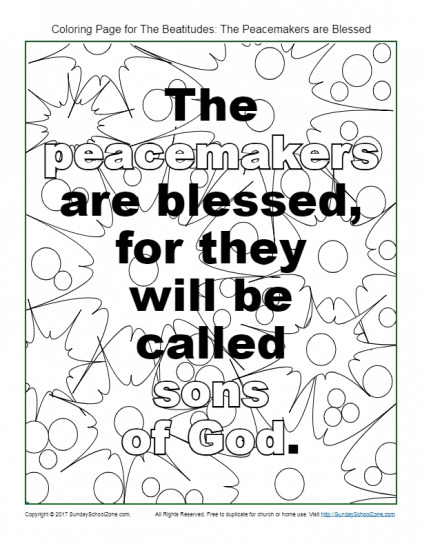 This “Peacemakers” Beatitudes Coloring Page will remind kids that real life is found in a right relationship with Jesus. The Beatitudes help us understand God’s kingdom. Each of the beatitudes points to some aspect of the kingdom that we should pursue. 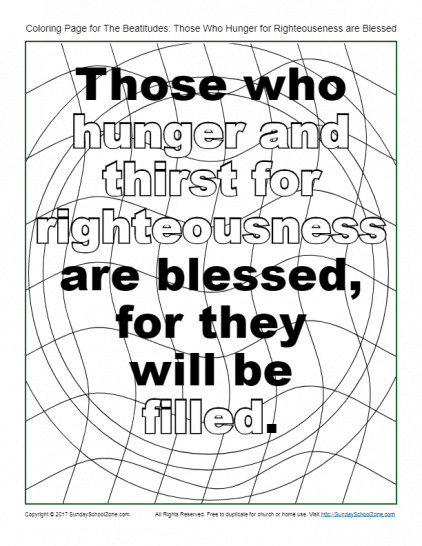 This “Hunger and Thirst” Beatitudes Coloring Page will remind kids that real life is found in a right relationship with Jesus. If you’re going to be teaching The Beatitudes, it will help if you understand the original message behind these famous words. We’ve provided an article that can help any adult get a grasp of this text as understood by its original audience.